Hyderabad, March 10: TDP Chief Chandrababu Naidu formally inducted the defected YSCRP leaders Gowru Charitha Reddy and her husband Gowru Venkata Reddy into the Telugu Desam Party, yesterday. 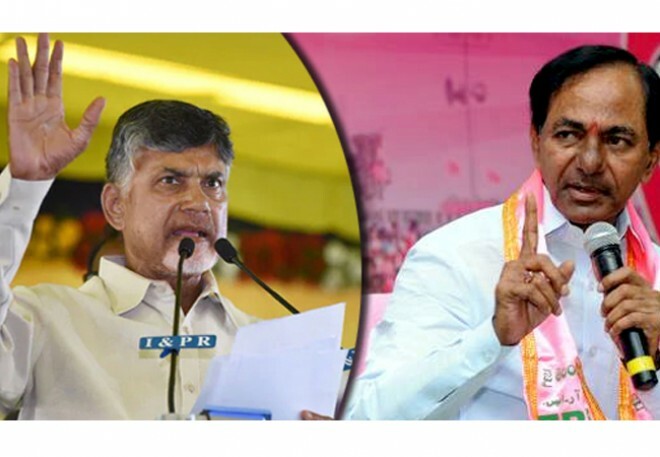 Coming to details, During the Gowru couple's TDP induction ceremony, Chandrababu said "KCR is thinking that investing in YSRC will be his return gift to me. I am sure I will send him a better return gift after the polls in the form of YSRC's defeat"
"Politically strong families of Kotla, Kishore Chandra Deo, Gowru families joined the TDP only to support the developmental activities initiated by the TDP government." Naidu also said that he managed to unite warring political families across the state because of his vision for AP's development.